Bachelor Of Physical Education. Sports Science, University of New Brunswick. Bachelor of Science. Physical Therapy, University of Toronto. Deidre created Personal Best for men and women of all ages and levels of fitness, whether healthy or injured, to find and sustain their personal best. The Royal Academy of Dance, London, England. Ballet became the starting point for pilates. 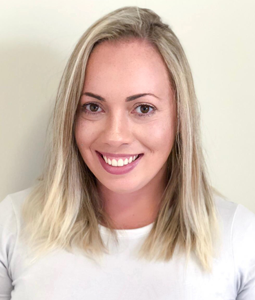 Having experienced the benefits of Pilates first hand, she specializes in Movement Therapy and is qualified to provide private and group sessions in training and rehabilitating of all ages and fitness levels. She recently graduated as a Physiotherapist Assistant and an Occupational Therapy Assistant in Toronto. Riandre is a positive force who seeks to motivate and encourage her clients to be their personal best. Joan brings more awareness to anyone with acute injuries, or clients who just wish to strengthen their bodies, to pay attention and honour their daily physical movements, young and mature. Joan’s passion for teaching Pilates began eignteen years ago teaching Fitness classes to business executives. Through her own experience with illness and injury, Joan fell in love with Joseph Pilates’ original exercise regime trademarked “The Method”, and Pilates became a lifestyle. Joan looks forward to bringing more awareness to anyone with acute injuries, or clients who just wish to strengthen their bodies, to pay attention and honour their daily physical movements, young and mature. 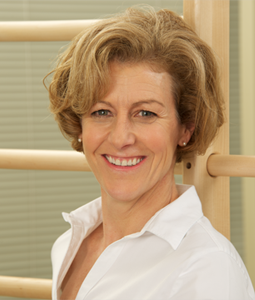 Kamal is a STOTT PILATES® Certified Instructor and Rehab Conditioning Specialist. Kamal entered Pilates training after many years of personal training and practicing Yoga. She was impressed by the catalogue of over 500 exercises allowing instructors to create individual program of routines, at any stage of their fitness goals. Kamal focuses on finding a person's unique path towards increased fitness, flexibility and alignment. “Your health is the foundation to your happiness and goals. My focus is on providing personalized instruction, support and tools for each person. Pilates can provide results and also be an enjoyable part of your week." Julie works with post rehabilitation clients, seniors, post motor vehicle, conditioning for athletes, performing fitness and nutritional assessments for executives. Julie Williams has over twenty seven years’ experience in the fitness, recreation, rehabilitation industry; and was voted one of NOW magazine’s Best Fitness Trainer. 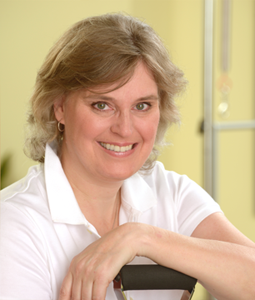 Julie is a Registered Kinesiologist and professional member of the Ontario Kinesiology Association with an Honours Bachelor Degree in Physical and Health Education from the University of Toronto. She is also a certified personal trainer (CPTN, CSEP) who works with a range of clients from post rehabilitation clients to senior clients, post motor vehicle, conditioning for athletes, to performing fitness and nutritional assessments for executives at a wellness centre. Julie is a Registered Nutritional Consulting Practitioner (IONC) and Certified Nutritional Consultant who has an Applied Holistic Nutrition First Class Honours diploma from The Institute of Holistic Nutrition.